I would like to shear some thoughts with you, about how important assistive technology is to me, and why Amy, in particular, makes me more productive, and how it is that she makes my work and play too, so much more pleasurable. This is going to be a long message, and as I go along, I my become a bit rhapsodic and disorganized, and if I do, pleas don't stop reading, or if I am too long, and you have to get back to work, save this for later. Or, better yet, Have your Cepstral voice read it to you, or best of all, (if you can,) save this as an MP3 file, and have it read to you on the way to or from work. I was born in 1952, and, as I was a primi baby, I was put in an incubator for about 2 months. What they didn't know back then, was that if too much oxygen was fed to the baby, a scar tissue would form over the retina causing irreversible blindness. In 1958, when I started school, the only means of delivering accessible mater to the blind was braille. Braille, while extremely efficient is cumbersome and balky and takes up a lot of space. In the 1970s, when I started college, the cassette tape recorder came along, making it possible to record class lectures, and have the printed word read to the blind by a sited colleague. I got my first computer device in about 1988. It was a small gismo with a Perkins style braille keyboard and a votrax voice chip. It had about a meg of memory and I could write you a letter and not have to have someone else proof it or to have to have you learn braille. My wife and I got our first desktop computer in 1992, and we bought it because it had a speech synthesizer in it and the salesman made it talk. When we got it home, we found, much to our disappointment that it wouldn't be of any use to me, because you had to highlight the text you wanted spoken. No point, since I couldn't see what to highlight on the screen. I learned about talking screen readers then, and I found out that the only reliable ones were dos based, and developers hadn't figured out how to make windows talk yet. I purchased a screen reader called Tiny Talk because it was cheap, and I was good to go. I got a new computer in 1998, with the windows 98 operating system a good screen reader, the Dectalk speech synthesizer , and I was good to go again. I got on the Internet, and started doing things that I could not do before. In about 2005, I got tired of Dectalk and I began learning about Concatenative synthesis and Unit selection, and I came across Amy from Cepstral. It was love at first hearing, and I had to have her. By 2008, I got rid of my desktop and my wife and I now both use laptops. There's no doubt that a personal computer, with an Internet connection is a powerful tool for everyone, but it is especially powerful for blind individuals. Much like the ways that sighted people use electric lights or reading glasses to do many different things, the Internet-connected PC is an interface to a wide range of activities. With a computer and a good screen reader , one can read a newspaper, correspond with friends, check the weather, find out what's on TV, balance a bank statement, pay bills, browse a catalog, order products and services, trade stocks, research and plan a vacation, purchase travel or entertainment tickets, follow sports teams and game scores, research topics for school or personal development, play games, and more. Sometimes people view using a PC as a single activity and might ask the question: "Are you still on that computer?" With a deeper understanding of the PC as a portal to facilitate all the different activities just enumerated, the question seems equivalent to asking a sighted person, "Are you still using that light bulb?" For me, Amy is that light bulb. In fact, I might say that my screen reader is the Lamp, and Amy is the light. As a church organist and Music Director, I am required to make recommendations to the pastor as to what to sing and wen, as well as educate the Congregation and Choir, Amy must read many and various documents published on line, she also must read Hymn Texts, find Midi Files and voice all of the applications needed to help me get the job done in a timely and efficient manor. She makes it fun, and she is very easy to listen too for long periods of time. She also reads TV guides to me and all of the other fun stuff I might engage in. I think that a voice is unique, and a gift from God, and no 2 are alike. I too believe that the voice is important, and we don't always know that. It's the voice that tells me allot about a person, and since I am totally blind, and have been from birth, your voice is the first impression I have of you. After all, I fell in love with Amy. Unfortunately, many people do not know enough about blindness to give blind people a fair chance in the job market. According to the National Federation of the Blind, (the leading organization of the blind in the United States,) Among working-age blind adults 70 percent remain unemployed. As I am gainfully employed as a Church Organist, Music Director and Liturgist, I am ask to speak to groups of people who are interested in such things as blind people and the job market. I have created a presentation using my screen reader and Amy to make to people who are interested, and in some cases, who had no idea such things were possible. Over the past 8 years or so, Amy has been my favorite voice, and has spoken to the people. I know who Amy's voice model is, and I tried to interest her in how I used Amy and how much pleasure Amy had given me, but she was not interested. She said, " I developed the voice, but I have no idea how it's used, or who uses it." The presentation starts with Amy introducing herself, and telling a little about herself. She then explains how she helps me and reads an appropriate article to the people. She then explains how I use MIDI in my work as an organist and Choir director and how she helps me find such files. Lastly, she invites questions, and makes it clear to the people, that they should ask me, and not a sighted colleague or my wife. I have made this presentation to my Choir, and they were amazed to know about the technology. One of my Choirs members, said, "I guess you and Amy are best buds." I don't think that I am in violation of Cepstral's terms and conditions, as I haven't posted my presentation online, or published it in any way. If I am, I'll not do it any more. This is a really great story. Thanks for sharing. 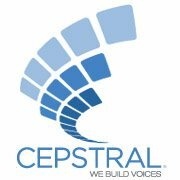 We are glad to know that you enjoy Cepstral products. We are only too pleased when our products help our customers. As you noted, Amy is not really a voice under active development. I am not trying to pressure you, but I am curious if you would ever consider changing to a new voice. The real question for us is what leads those who use TTS for assistive purposes to choose the voices they do. First of all, I like my voices youthful and sweet. I don't remember where, but I once found a web site that sold Amy that described her as elfin. Back when I first got her, Kevin Lenzo, and some of the other Cepstral team, tried to talk me into Diane. They explained, without telling me just who she was, that Diane is a wellknown Pittsburgh radio personallity. I explained that I didn't like "studio voices" and that is why I just had to have Amy. Back when I came to visit Cepstral in 2008, and I demonstrated how by tweeking the Amy voice's rate, I could make her sound even more "human than she already did. Patrick Dexter reluctantly remark that my tweek, (setting Amy's speach rate to 2 or 3 words per minute faster) caused Amy to sound "sweeter and smoother". By the end of our time together, Craig Campbell admitted "Amy really hurt us in the beginning". Amy is alittle too cute for most of our clients. Not an exact quote. My mom thinks that she sounds like marilyn monroe. I don't think that. All I know is that I can listen to her hour after hour and not get tired or lagged. If Cepstral builds another voice like Amy, I'm on the bandwagon.